Allowing you quick and easy application, the EasiPlaster Self Adhesive Plaster Tape provides you with a fast alternative to the traditional plaster. The tape is easy to tear to the length you need, and sticks to itself rather than skin or hair. 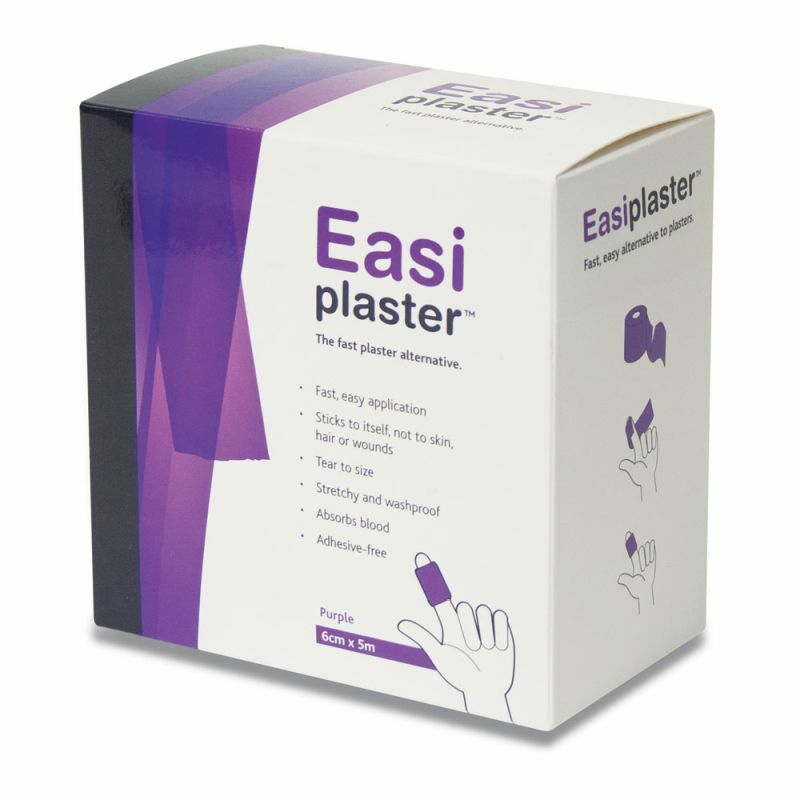 The EasiPlaster is the new vital addition to your first aid kit. It is easily torn off from the 5m roll and can be placed directly over the wound and wrapped securely, no dressings or medical tape required. The Easiplaster easily absorbs blood, and by adding more layers and tightly pressing the plaster together, it will be more than capable of containing severe bleeding. It is particularly suitable for fingers, hands, arms or legs, and is purple in colour for easy identification. There is no adhesive on the EasiPlaster bandage as it sticks to itself, which in turn means that it is very easy to remove, and leaves no residue on the skin. 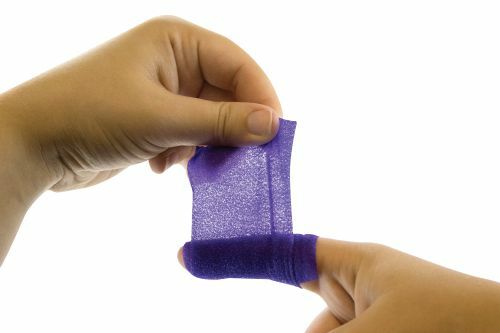 It is made from a very flexible and breathable material to promote fast healing, and is useful specifically on cuts to joints such as fingers, elbows and knees. The EasiPlaster Self Adhesive Plaster Tape is usually dispatched via First Class Royal Mail and delivery should be within 1 to 3 working days.